My Wednesday sandwich, a photo by Cubilla Milan on Flickr. 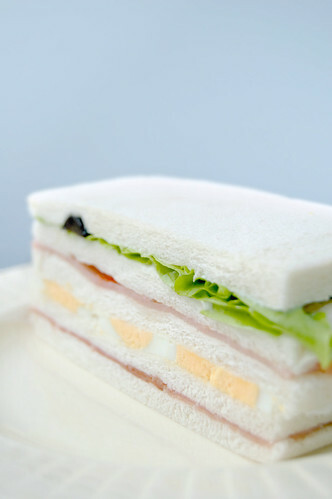 I never thought I would find a photo of a sandwich particularly stunning but I am just finding this one mesmerising. This sarnie isjust so perfect looking. So much time must have been spent making this look so precise. I bet a very sharp knife was used. And the photographer has captured it really well. I love the fresh bright colours. Although, I must say there is something to be said for a messy sandwich too. Personally I love biting into an egg sandwich with a really runny yolk exploding out. Watch this space - perhaps tomorrow it'll be the turn of a really messy sandwich!